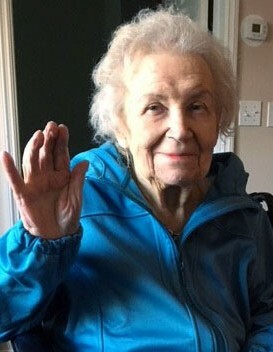 Lorraine Anna Hoppey, 89 of Bridgeport, passed away on Wednesday, April 3, 2019 at the United Hospital Center. Lorraine was born November 14, 1929 in Bayonne, NJ; the daughter of the late Leonard “Lenny” and Margaret “Margie” Pauser Buffa “Buff”. Lorraine worked many years for senior management at Bayonne Plumbing Supply Company and Daiwa Securities Group at The World Trade Center, New York City. Lorraine began her career working at the Mutual Broadcasting Company and Girl Scouts of America in New York City and attended City College of New York. Lorraine loved working in Manhattan and went to the theater, opera and ballet frequently. Lorraine resided in Bayonne, NJ and moved to Bridgeport, WV in June of 2015. Traveling the world was a true passion of Lorraine and her husband. They visited six continents. Lorraine and John were true soulmates and loved each other deeply and unconditionally. They were truly devoted to each other. Lorraine is survived by her husband of 66 years, John J. Hoppey; two daughters, Celeste Hoppey-Broder Airmont, NY and Leslie Hoppey Winkie and husband Ken of Bridgeport; seven grandchildren, Ethan Broder, Bend, OR and Elexa Broder of Boston, MA, Colin, Mason, Mitchell, Lauren and Carson Winkie, all of Bridgeport; and one niece Diane Fucci and husband Donald; and all the Buffa family from Long Island, NY. In addition to her parents, Lorraine is preceded in death by one sister, Rose Purse and one son in law, Charles “aka” Chip Broder who was married to Lorraine’s daughter, Celeste. In her youth, Lorraine performed in many musicals and sang opera. Her love of the arts and her artistic nature always inspired everyone around her. Her kindness and gentle nature will be greatly missed. Everyone who met Lorraine truly loved her. Family life was incredibly important to Lorraine and her daughters, sons-in-laws, and grandchildren meant the world to her. Per Lorraine’s request, she will be cremated. A Memorial Mass will be held at a later date. In lieu of flowers, donations can be made in her memory to the Harrison County Humane Society, 2450 Saltwell Rd, Shinnston, WV 26431 or WVU Hospice 300 Davisson Run Road, Clarksburg, WV 26301. Online condolences may be sent to DavisFuneralHomeWV.com. 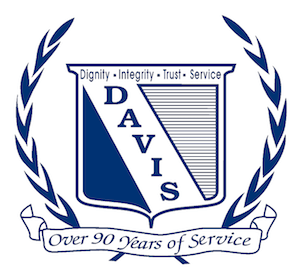 Davis Funeral Home is honored to assist the Hoppey family.